We were thrilled last year to conduct a very personal ceremony for Cheryl and Lawrence at Knightor Winery. 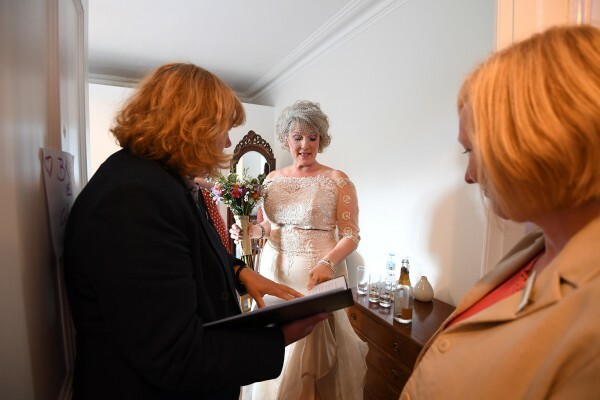 Cheryl is a very talented opera singer, we had met her previously at wedding shows and we instantly took to each other, which was why we were so delighted when Cheryl and Lawrence got in touch to talk about the possibility of us conducting their ceremony. The whole ceremony was wonderfully unique and personal to the couple and flowed beautifully. With Cheryl and Lawrence’s love of opera, song and music played a large part in their day. The ceremony was also one of the longest we have ever conducted at 1 hour and 15 minutes, however, it felt as if it was over in the blink of an eye! There were plenty of personal touches, one of which was Cheryl being escorted into the room by her mum’s dog – Woody, who now lives with Cheryl and Lawrence, as Cheryl’s mum has sadly passed away. There were emotional moments throughout remembering those who would have loved to have been present at the wedding but who are unfortunately no longer with us – we lit a candle in remembrance of them. All the guest were musical and the couple chose to have them all sing songs in the ceremony and a friend sang an operatic aria and another sang “One enchanted evening” to them. 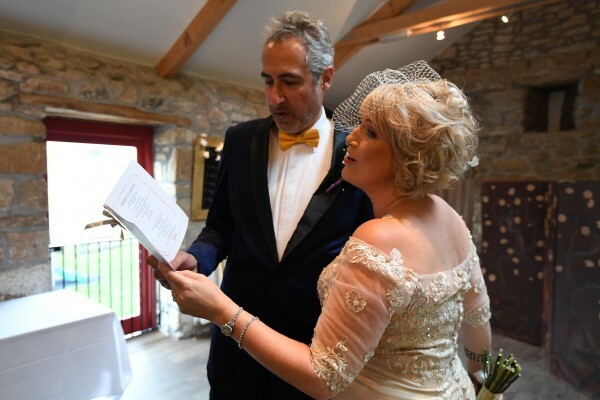 Lawrence said his vows and then in return, Cheryl spoke her vows and then, not to be outdone by her guests, sang the Tiree Love Song to him – there was not a dry eye in the room! We were both also suspiciously damp around the eyes! It was an absolute privilege to be a part of this very special day for an incredibly special couple! To find out more about how we could create your bespoke ceremony, then please do get in touch. 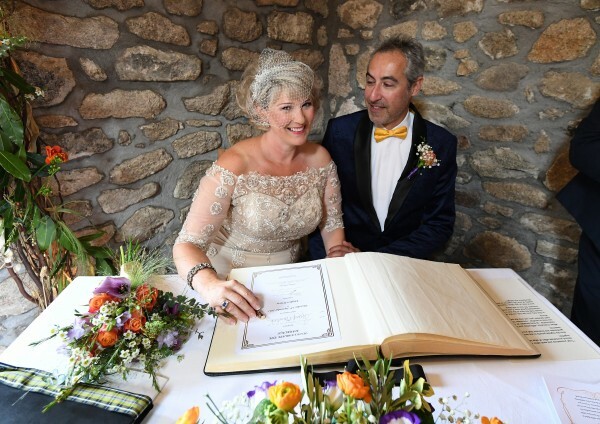 Bernice & Wade’s Celtic handfasting on the Cornish coast.